Hear about travel to Stockholm, Sweden as the Amateur Traveler talks to Malin from HauteCompass.com about Sweden’s beautiful capital city. “Stockholm is an old city. It was founded already by 1250 as a hub of trade and finance. It was the northern hub of the Hanseatic League. ” Malin, recommends starting in the old town of Stockholm which is on 4 different islands and includes the royal castle. There is an interesting royal armory museum and the changing of the guards which are worth seeing. Just walking around the mediaeval street is enjoyable but go earlier in the morning before the tourists fill up the streets. The most narrow street is only 35 inches wide. Stockholm is built between a lake and the sea so everything is focused on water. Many of the different neighborhoods are different islands. 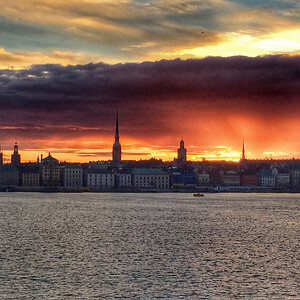 Malin walks us through the various neighborhoods including Riddarholmen and through Södermalm which readers may recognize from Stieg Larsson’s novels. Surprisingly, one well known sites that Malin does not recommend is the Skansen folk museum. Malin recommends a number of good restaurants and hotels as well as her favorite shop. 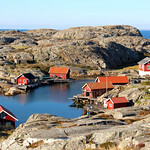 We also talk about day trips from Stockholm out to the archipelago between Sweden and Finnland. Gary Bembridge from “Tips for Travellers” calls Victoria Falls hist favorite destination.